Ampacity is the current that a conductor can carry continuously without exceeding its temperature rating. This quantity is related to the resistivity of a material, which is a measure of how large an electric field is needed to produce a given current density. In theory a perfect conductor has no resistance. Metals have the smallest resistivities. The electrons that carry the charge in electrical conduction also conduct heat. In general the heat generated in a conductor dissipates into the conductor insulation, the surrounding air or soil, or any additional thermal insulation via conduction, convection and radiation. Get the value of the temperature of the conductor (called TC) and the ambient temperature of the air or soil (called TA). In all cases the temperature should be in Celsius. If necessary, convert from Fahrenheit F to Celsius C using the formula C=5/9(F – 32). 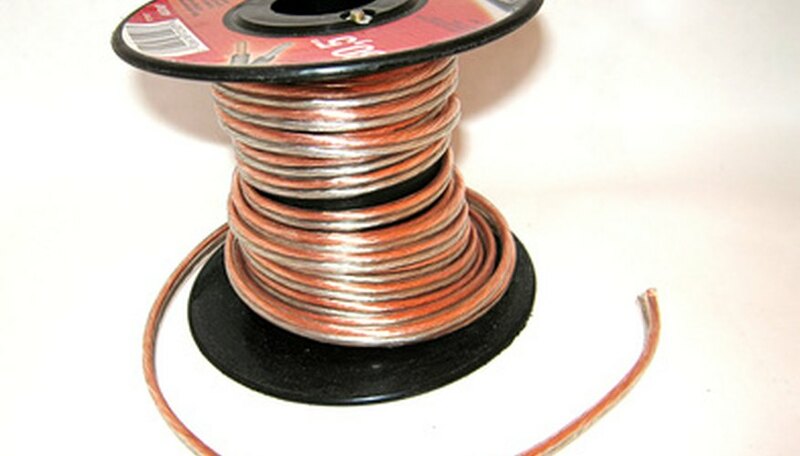 Get the value of the thermal resistance (RDA) between the conductor and the ambient air or soil. The units should be in thermal Ohms per foot. Calculate the ampacity using the values you have obtained in the previous steps. The ampacity I is given by the formula I= squareroot[ (TC – TA)/(RDC*RDA)] Amperes. This equation is only valid for applied voltages that are less than 2,000 volts and for wires smaller than No. 2 gauge. Leathem, Selma. "How to Calculate Ampacity." Sciencing, https://sciencing.com/calculate-ampacity-6755443.html. 24 April 2017.